There is one thing that my husband and I always get excited about this time of year. The hot cross buns! They grace our shelves soon after Christmas and we always rush to get our hands on them while we have the chance. However, homemade Hot Cross Buns are a whole new level of Easter deliciousness. Fresh out of the oven, these Hot Cross Buns are light and fluffy on the inside and shiny and golden on the outside. Filled with plump, juicy raisins and a handful of spices, including a boatload of cinnamon, they are a beautiful Easter-themed treat. I’d love to tell you we’ve been making these in our family for years, but truth be told, this was the first year we decided to tackle making hot cross buns from scratch. After all, isn’t almost everything better homemade? I was so happy with the final result. These buns are gorgeously light and fluffy on the inside, with a beautiful crust and a subtle, sweet flavour from the cinnamon, nutmeg and ginger. 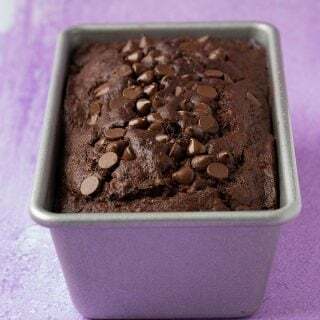 You seriously need to try these as long as you promise me to eat one straight out of the oven slathered with either butter or Nutella. Ah, pure bliss! Making bread at home is truly one of the most satisfying things in the kitchen. My husband and I have often spent a few hours baking focaccia or a crusty white loaf on the weekends, only to almost devour the whole thing when it comes straight out of the oven. My favourite part is when the bread is still warm and you smear over a piece of whipped butter and it immediately starts to melt. You can tell I am one of those people who fills up on bread at restaurants! When these buns first make it out of the oven, you brush their golden tops with a simple sugar glaze so they become super shiny, just like the store bought ones. The crosses are simply made from a flour and water paste which can be easily pipped onto the buns before they are put in the oven. It’s a little hard to get a straight line but there is nothing wrong with the rustic look, am I right? I hope you are looking forward to Easter and celebrating with your family and friends. We are going to the beach for a family holiday for the long weekend. 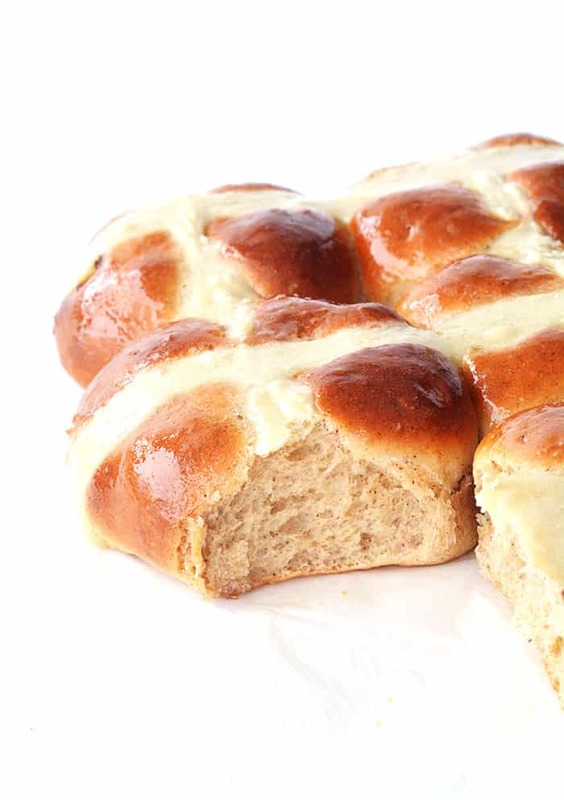 Don’t forget if you are looking for any last minute Easter treats to whip up, you can take a peek at our Easter recipes or try your hand at a batch of these Hot Cross Buns. Light and fluffy homemade Hot Cross Buns filled with plump, juicy raisins and a handful of spices, including cinnamon. Add your warm water to a small bowl and sprinkle the yeast over the top and set aside. Add your sugar and salt to a large mixing bowl. Then, add your milk and butter to a small saucepan and pop on a low heat, to warm the milk and melt the butter. Meanwhile, add two cups of flour to a large bowl and 1 and 3/4 cup to another (leaving 1/4 cup for dusting when kneading the dough). To the two cups of flour, add the cinnamon, nutmeg and ginger. Then add the raisins, separating them with your fingers if they are a little stuck together. Once the butter is melted, remove the milk from the heat. If it is hot to the touch, leave to cool for a minute or two. You want the milk warm but you should be able to stick your finger in there without it burning. Also check that your yeast has reacted and started to bubble a little on the edges. To make the dough, add the eggs and milk mixture to your sugar and salt. Whisk gently or stir with spoon just to combine. Then add your first batch of flour (with the spices and raisins) and start to mix the mixture using a dough hook. Then add your yeast mixture, water and all, and continue to mix. Finally add the rest of your flour, a spoonful or two at a time until a nice soft dough forms. Once the dough comes together, remove it from the bowl and place it on a lightly floured bench and knead it by hand for 5 minutes or so until it is soft and smooth. Add a little flour to the bench if its a little sticky but not too much as we want the dough to be nice and light. Then bring your dough into a ball and place in a large mixing bowl that has been greased well with butter. Cover with cling wrap and leave to rise for at least 1 hour – it should double in size. Next, gently push the air out of your dough using your fist. Then take the dough out of the bowl and knead gently for a minute before tearing it apart to form 12 even sized balls of dough. Place these on a baking tray that as been lined with baking paper in four rows of three. They shouldn’t touch but after they have been left to rise again, they should be touching. Cover with cling wrap and leave to rise for at least 30 minutes. Or until they have all joined together and almost doubled in size. Preheat the oven to 180 C (360 F). To make your flour paste. Simple sift your flour into small bowl, add your water and stir with a spoon until it forms a smooth paste. Add your flour mixture to a disposable piping bag fitted with a small tip and pipe a straight line over the buns, horizontally and then vertically. Pop the buns into the oven for approximately 18-20 minutes or until golden brown on top. Just before the buns are ready, start making the sugar glaze. Add your sugar and water to a small saucepan and place on a medium-low heat until bubbling. Then use a pastry brush to brush the sugar glaze all over the buns straight away when they are removed from the oven. Serve buns warm with butter. 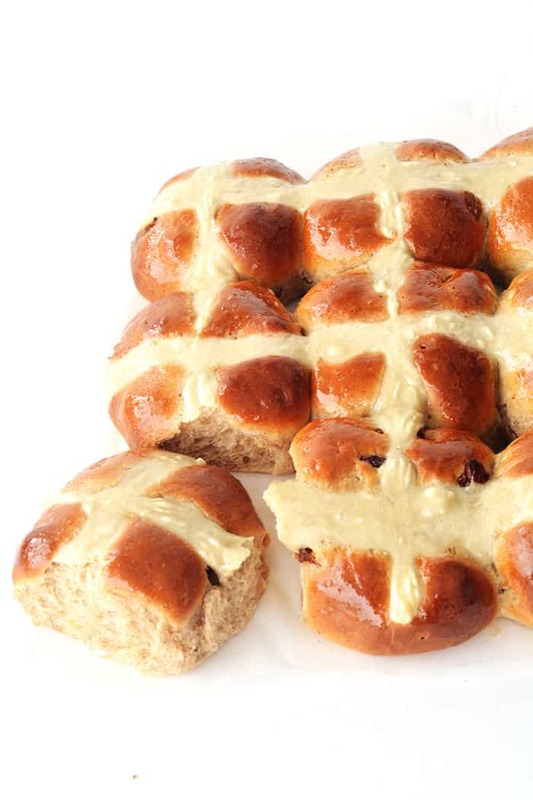 Hot cross buns are best eaten on the day they are made. 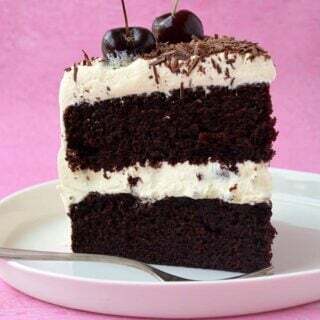 This recipe looks very yummy. Im gonna make one today. Can i use mixed fruits instead of raisins? My boyfriend is ot a big fan of raisins. These were so much better then the supermarket ones! Amazing, glad you enjoyed them! There really is nothing like homemade bread. These look lovely. 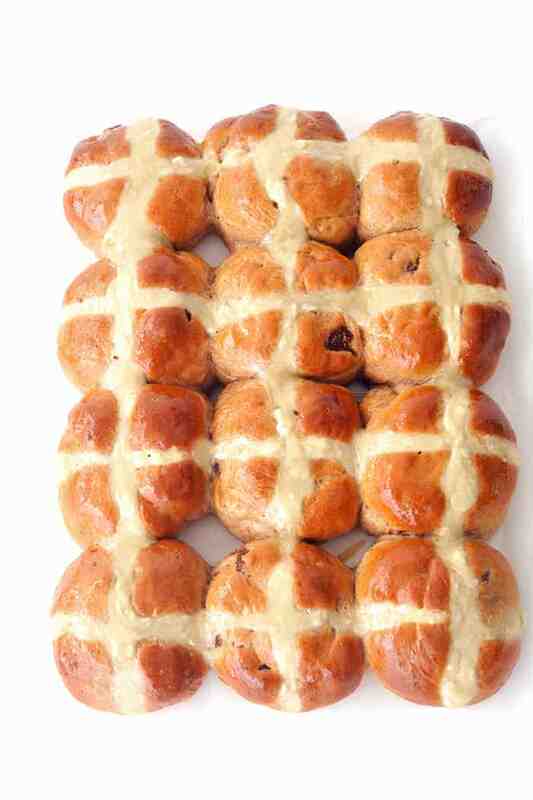 I’ve never made (or even had) a hot cross bun, so these sound fun. The cinnamon and ginger sound wonderful! Yes yes yes so with you Jess! 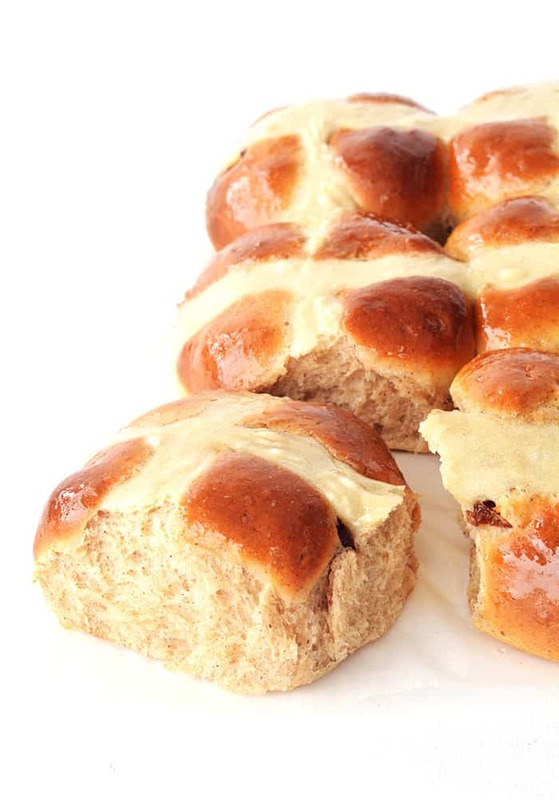 Hot cross buns are one of my favourite parts about Easter, and the moment of eating bread straight out of the oven, smeared with half-melted butter… the best. (I eat WAAAY too much bread at restaurants as well…). your hot cross buns look super fluffy and glossy – absolutely perfect. There is NOTHING better than a warm homemade Hot Cross Bun, after seeing your gorgeous pictures I’m going to make some right now! 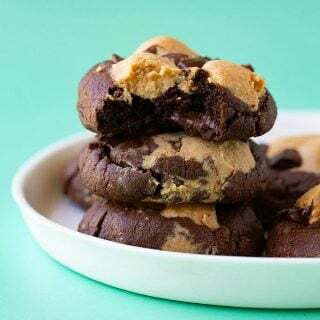 These look wonderful Jess! 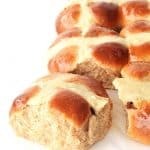 Growing up we always had hot cross buns for Easter! The tops look perfect! These look absolutely perfect! And so much better than bland supermarket bought buns! Jess, you are amazing! I love making bread at home, even if I can’t eat it, but I’ve never attempted hot cross buns before! These look wonderful and I bet they were so good straight from the oven with melty Nutella on them…. (drooling on my keyboard). 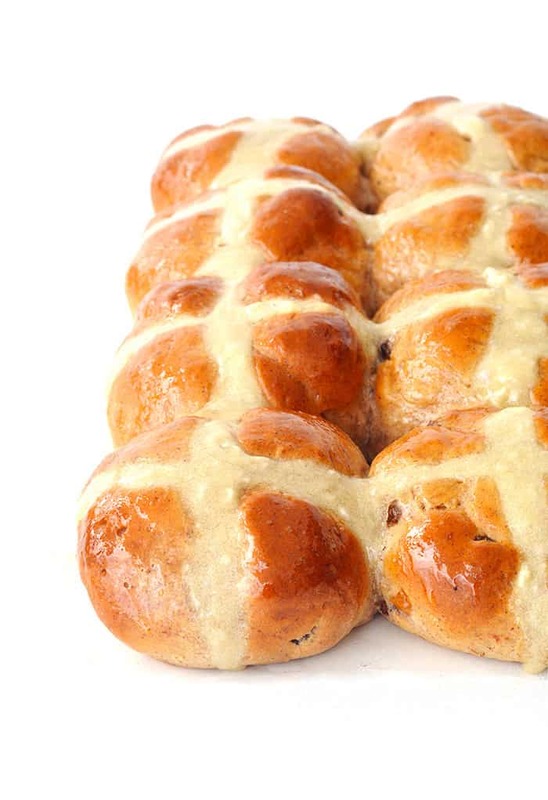 I hope you have a wonderful long weekend at the beach with your family – and eat lots of hot cross buns of course! Aww thank you so much Amy! I do think making bread is so much fun. I hope you have a great Easter too!! These are gorgeous, Jess! And I love all the spices involved! 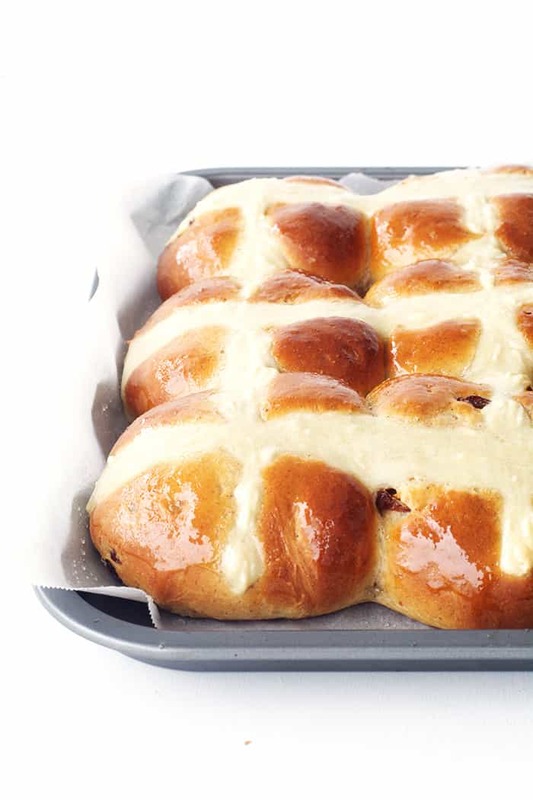 I seriously missed the hot crossed buns this year. I just had no idea they were a thing for Easter! Haha. Next year! Silly me… Thinking like a food blogger! Here I think I’ve missed the Easter boat, but nope, INGESTING Easter food is just ahead of me, hahaha. These might have to happen this weekend! My life changed forever when my travels to the USA opened my eyes to wonderful things like smores milkshakes and red velvet cake. Read More.